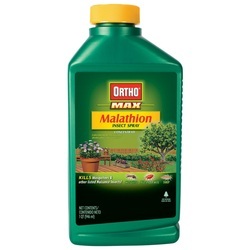 Malathion is a poison. Malathion may inhibit acetylcholinesterase enzyme in the synaptic junction. As a result acetylcholine will elevated in the synaptic junction with increase in stimulation of muscarinic receptors or nicotinic receptors. Malathion poisoning may present with symptoms and signs due to activation of the of muscarinic receptors and nicotinic receptors. Activation of muscarinic may lead to salivation, gastrointestinal discomfort, psychosis, seizures and bradycardia. Activation of muscarinic can be treated with atropine. Nicotinic activation may lead to flaccid paralysis due to blockage of neuromuscular. Reactivation of the acetylcholinesterase can be achieved by using pralidoxime which is an antidote for acetylcholinesterase inhibitors.